As Nandi gears up to achieve universal health coverage by 2022, the county government is well on its way, as more and more health facilities are being operationalized to offer the much needed services. Universal health coverage (UHC) means every person irrespective of where they live and their socioeconomic status, has access to good quality health services without having to go through any hardship. Kapnyarwat dispensary in Kurgung/Surungai ward, Mosop Sub County that had been neglected for the past 24 years has now been opened. 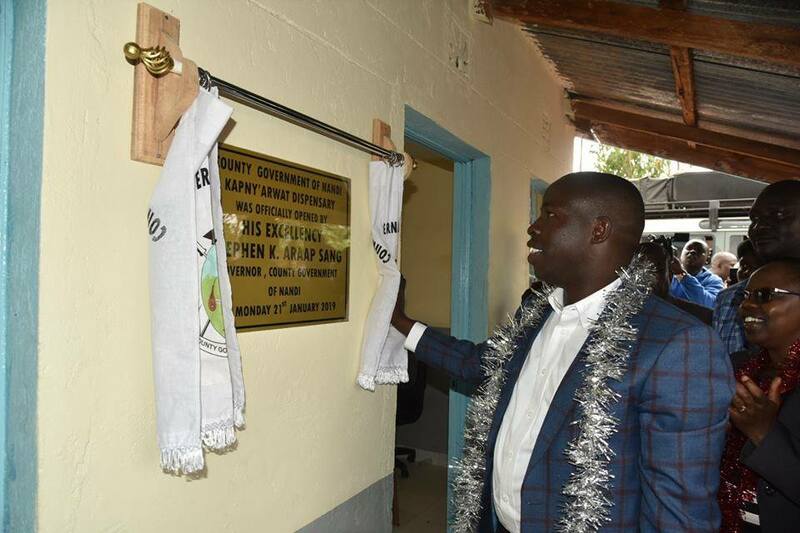 Nandi governor Stephen Sang on Monday opened the health facility situated in Surungai location. 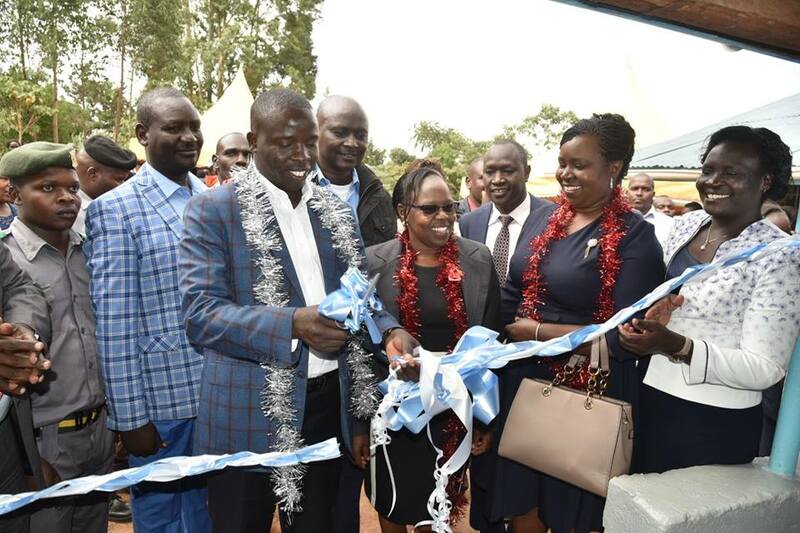 The governor, accompanied by the deputy governor, several CEC members and MCAs, were told of how Kapnyarwat dispensary was started in 1995 by the residents after they bought the piece of land through contributions. However, upon completion in 2007, the project stalled and did not take off because of the politics that plagued the region. The lack of a health facility in the area had been blamed for an outbreak of diseases. The area residents got a free medical clinic and treatment courtesy of the Beyond Zero Team. The free clinic, which included cancer screening and laboratory services, was provided at the newly opened facility where over 120 patients were attended. Kapnyarwat dispensary will serve patients from Surungai, Kurgung, Kapsosio, Tulwo and Kapkoimur villages. 82 year old Mzee Kolil, a resident of Kapnyarwat praised the government for the dispensary, saying it has brought services closer to the people. He narrated how he had waited for several years for the facility to be opened. “My age mates had been waiting to see this facility offer services, but they have all died, my joy now is that I am still alive to witness this for them,” narrated Kolil. 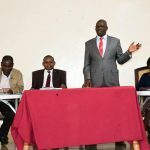 While addressing the residents, governor Sang said that he will get all health centres constructed but had stalled are operational as soon as possible and construct new facilities where there’s need. 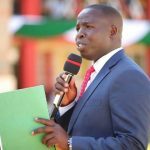 “No one should travel more than 5km from home to seek for medical attention in Nandi in the next ten years,” said the governor. Kurgung/Surungai MCA Pius Murei said the dispensary was built 24 years ago but had never been utilized. “This is the best gift that our governor has given the people,” the ward representative said. 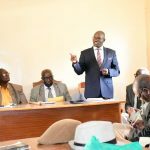 Other facilities to be operationalized in the coming months in the ward are Kamwega, Rubet, Chepnyogoson, Kapmamut, and Chepyegoris. These facilities had stalled for over eleven years. Kurgung maternity will also be opened.